Welcome home! 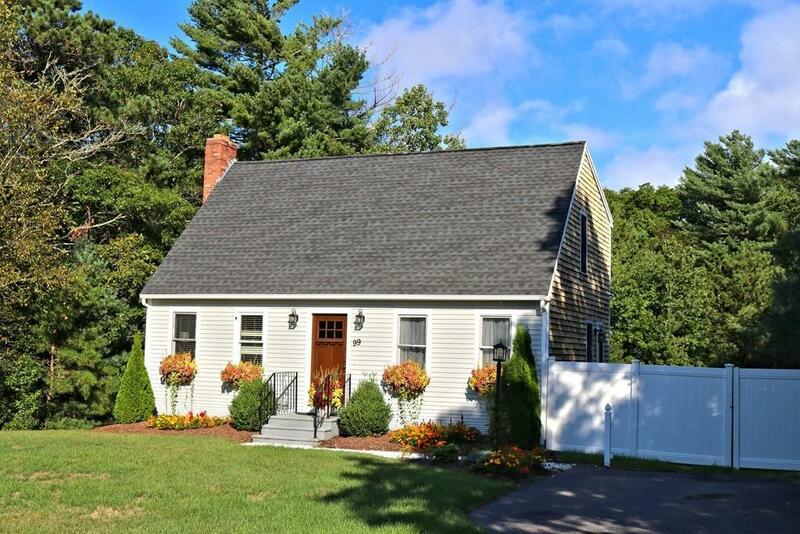 This classic Cape-style home is in the popular neighborhood Ponds of Plymouth and includes many updates & upgrades! Kitchen features granite counters, newer stainless steel appliances, & breakfast bar, with open floor plan to dining room, and exterior access to sunny composite deck. The living room features a custom fireplace mantel and is adjacent to a large half bath and first floor bedroom. Two spacious front-to-back bedrooms upstairs share a full bath with ceramic tile surround. Roof approx 6 years old & new septic is a four-bedroom system. The full basement has soaring 12-foot ceilings and some framing in place, offering great opportunity to finish for additional living space. Outside, you'll love the deck overlooking the large, level yard that is fully-fenced and includes irrigation & fire pit. Enjoy miles of sidewalks in the neighborhood or just a quick stroll to Little Sandy Pond and White's Pond. Convenient location to Rte. 3 & 495 as well as the Cape!